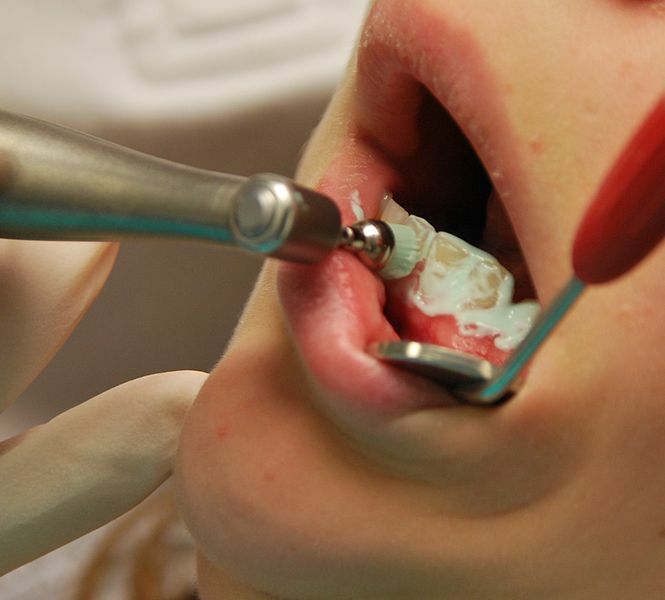 When you see the term cosmetic dentistry, you may not know exactly what it means. Depending upon the dentist, cosmetic dentistry can be inclusive of a wide range of services. While many procedures are considered purely cosmetic, there are cosmetic dentistry procedures that can also help improve the overall health of your mouth. Your teeth endure a lot, and over the years your smile may begin to show the wear and tear. You may notice your teeth aren’t as white as you’d like, or that old chip may start to bother you. The good news is that most cosmetic issues you have with your teeth can be worked on and improved by a dentist that specializes in cosmetic dental procedures. One of the most popular forms of cosmetic dentistry is teeth whitening. There are a variety of different teeth whitening methods that can be used, depending on how stained your teeth are and what method your dentist prefers to use. There is bleaching, gels, strips and even UV teeth whitening. You will likely see an immediate difference after the first treatment, and additional treatments may be required in order to obtain the level of whiteness that you desire. Porcelain veneers are another popular form of cosmetic dentistry. These are porcelain covers that are placed over a tooth to hide minor imperfections, such as chips, cracks or discoloration. Porcelain veneers can also be used to hide misshapen teeth and help create a uniform smile. If you are missing a tooth or several teeth, there are several cosmetic dentistry treatments available. A bridge can be created to provide support to the teeth and implants can be used to fill in the gaps. While these are most commonly used in the back of the mouth, new technology has allowed implants to be added anywhere, ensuring that you have a smile that you can be confident with no matter what your situation was prior to visiting the dentist. Another common option for missing teeth is a dental implant and crown. In many instances, insurance isn’t going to cover cosmetic dentistry procedures because it is considered just that — cosmetic. However, there are some situations where it will be covered. Some insurance plans will cover dental implants because they can actually help the overall structure of the mouth. When there is a tooth missing, it can lead to gum disease and cause shifting over other teeth, creating misalignment. To prevent this, an implant can be used to prevent the teeth from shifting, and insurance will cover it because it is considered preventative. Getting a great looking smile is possible because of the different procedures available. Not all procedures are right for everyone — it will depend upon the condition of your teeth and what you want fixed. Some people can obtain a whiter, brighter smile with teeth whitening while others will need to rely on veneers. When you want to improve your smile, it’s possible. All you have to do is find a dentist that works in the area of cosmetic dentistry and discuss the different options available to you. Roberta Wanton is a well-known health and wellness blogger and author. She has written features and columns for a variety of health and wellness publications.